Tuesday marks yet another busy primary day on the 2018 midterm calendar. This round of primaries includes critical gubernatorial contests in Colorado and Maryland, surprising congressional challenges from liberal candidates in New York, and the return of Mitt Romney in Utah. To get a rundown of who to follow as the returns come rolling in Tuesday night, become an AR Intel Insider today and get full access to the post below! Tuesday marks yet another big day of primary contests across the country. Voters in Colorado, Maryland, New York, Oklahoma, and Utah will all hit the polls to pick candidates for the November 6 general election, now just over four months away. In Colorado, voters will decide just how liberal they want their state to be, as Republicans, Democrats, and undeclared voters, for the first time in a primary, select nominees for governor. Maryland Democrats are also choosing a gubernatorial nominee, and the results are more likely to be based on geography than ideology. And in New York, four young, upstart liberals are challenging long-term congressional incumbents from the left. Want to read more about each? 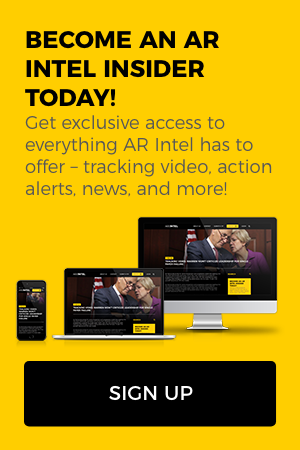 Become an AR Intel Insider today! ANALYSIS: Just How Much of Ben Jealous’ Contributions Came from Outside Maryland? Former NAACP President and CEO Ben Jealous is running for governor in Maryland, and it appears high-profile endorsements from the likes of Sens. Bernie Sanders (I-VT), Kamala Harris (D-CA), and Cory Booker (D-NJ) have helped line his campaign coffers with out-of-state money. Just how much of Jealous’s money came from out of state? To find out, subscribe to AR Intel by clicking here. Did This Maryland Democrat’s Prohibition of Developer Money to One Office Hurt His Fundraising for Another? The Democratic primary in the Maryland governor’s race is heating up, and a new profile in the Baltimore Sun of Rushern Baker, the Prince George County Executive, raised some eyebrows when he discussed a rule he put on donations to county executive campaigns. Along the way he has largely wiped away the impression that Prince George’s County is a pay-to-play den of corruption. He forbade developers to donate to the political campaigns of county executives — a move which has somewhat hamstrung his ability to raise money to run for governor. AR Intel took a closer look at Baker’s financial disclosure report to see if his fundraising was genuinely “hamstrung” by a self-imposed rule that doesn’t apply to the office for which he’s currently running. If you want to see the numbers yourself, become an AR Intel Insider today!